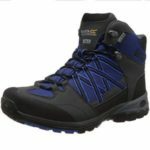 Is The Northwest Territory Terrain Walking Boot Too Basic For Hikers? The Northwest Territory Terrain Walking Boot is a good looking hiking boot that looks as though it should be able to hold up to a decent hike in the countryside. There is a solid sole and a nice use of different materials in the upper, all the way up to the padded tongue and the support around the back of the ankle. The specification and design are pretty no-nonsense. There are no weird colour choices or odd features within the shoe. This suggests a simple, effective product for the everyday walker. Is this the case? The Pros and Cons of this Northwest Territory Terrain Walking Boot. 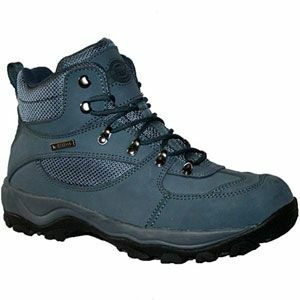 The build and fit of the Northwest Territory Mens Terrain Walking Boot mean that there are lots of happy walkers. First of all, there are some great reviews from buyers that have worn these shoes for a long time. There are some comments about the seams splitting and leather cracking on occasion. This shouldn’t be too big a surprise because this is a budget walking boot compared to those from other brands. Still, there are some reviewers that boast about using them hundred of times over a number of years with few complaints. The use of the premium leather in the uppers, the strong lace-up closure and the thick rubber sole are helpful here. 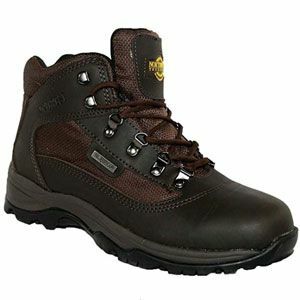 There are also some positive comments about the comfort achieved with this Northwest Territory walking boot. The majority of buyers say that it fits as expected. The sole is sturdy but still flexible enough to be comfortable. The insole doesn’t seem to be anything special when it comes to the shape or support. But, there is noticeable support around the ankles. This is helpful for those walking long distances on uneven terrain. The lack of waterproofing is an issue with these Northwest Territory Waterproof Hiking Boots. The most important issue to talk about with these boots is the waterproofing. Some see the word hiking boot and assume they can trek through puddles in massive storms. There is some weatherproofing on the uppers – enough for some damp grass and light showers. However, those uppers also have panels with a more breathable material to keep feet cool. There is, therefore, a bit of a trade-off here. Some suggest giving these trekking boots a little treatment before heading out on major trips. 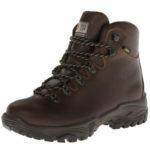 What does this mean for a final recommendation of these Northwest Territory Walking Boots? 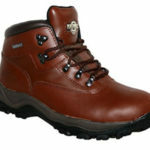 There are many walkers that agree that these hiking boots are great in the right circumstances. They are light and comfortable enough for occasional use in the right weather conditions. This means that many people will actually get plenty of use out of them for weekend walks and dog walking. They may, however, struggle on bigger treks in unpredictable weather. 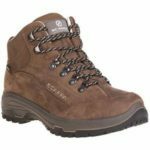 This Northwest Territory mens hiking boot has its benefits with the design and materials used, so shouldn’t be overlooked entirely. Find more reviews about the Northwest Territory Terrain Walking Boot on Amazon here.